Looks dreamy, right? That’s because they are. Like butter, who doesn’t? They have a lot of butter. Like ice cream? They have that too! I can’t recommend them enough. I am now on yet another diet due to how much I adore these. I adapted the recipe from What’s Gabby Cooking. In a large mixer, combine the softened butter and brown sugar with a whisk attachment. Let whisk for 2 minutes. Add the eggs one at a time, followed by the vanilla extract. In another bowl, add the flour, baking soda, sea salt, baking powder and spices and whisk to combine. Add the dry ingredients to the batter, making sure not to over-mix. 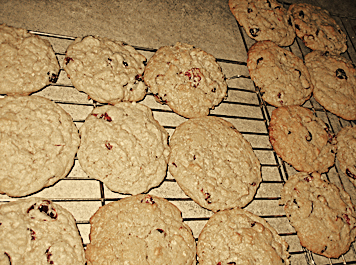 Add the oats and cranberries and combine. Refrigerate batter for 1 hour. 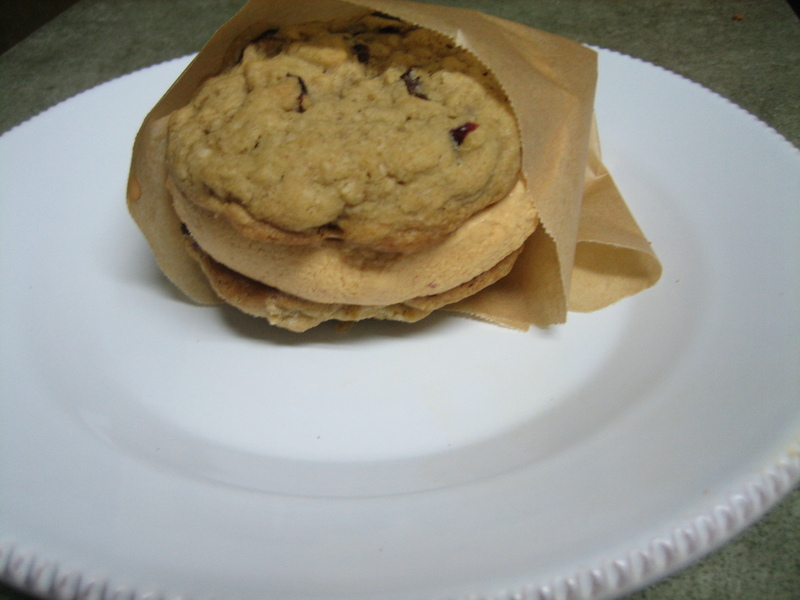 Using a 1 inch scoop, scoop 12 cookies onto each parchment lined baking sheet. 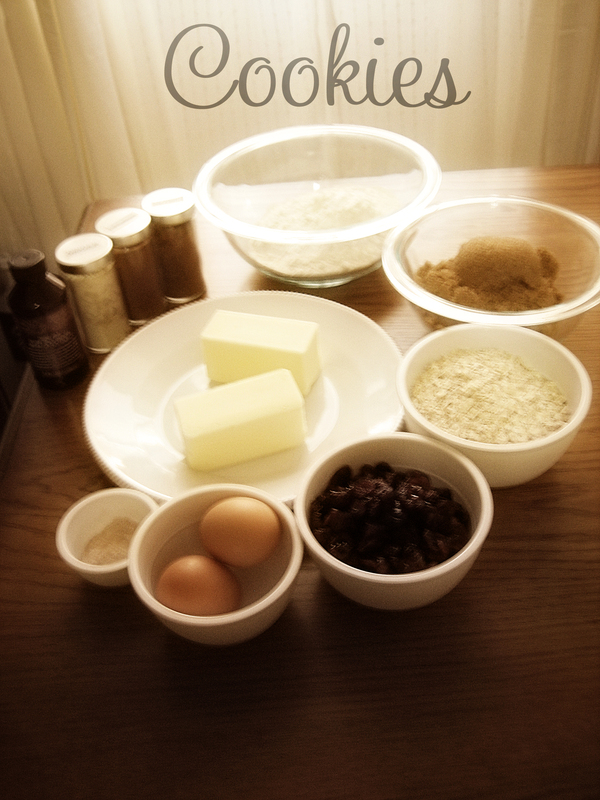 Flatten the cookie dough slightly. Transfer sheets into over and bake for 10-12 minutes until the cookies just slightly turn a golden brown color on the edges but are still soft and chewy in the middle. Remove from oven, transfer to cooling rack. Repeat process for remaining dough. To make sandwiches, I used pumpkin ice cream for Trader Joes. 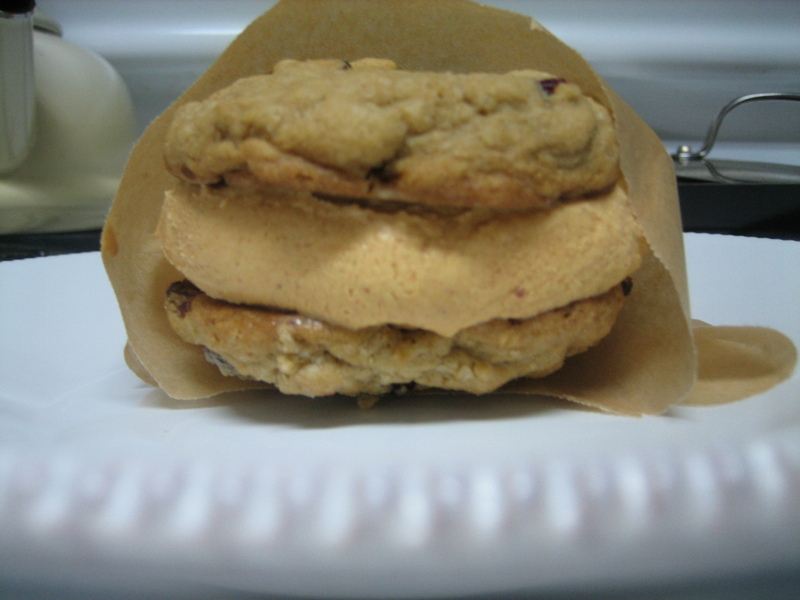 Light the ice cream soften and add a scoop to one cookie and sandwich with a second cookie. Wrap sandwich in parchment paper and freeze for an hour.